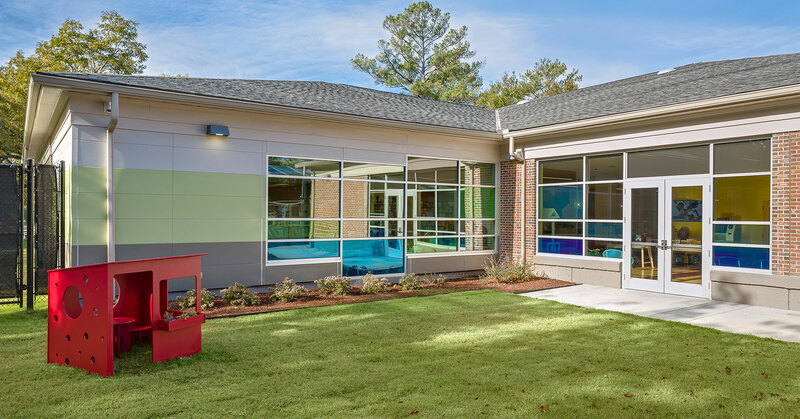 This project renovates 10,000 existing square feet and brings a new children’s collection addition of 2,000 square feet to the North Main location. 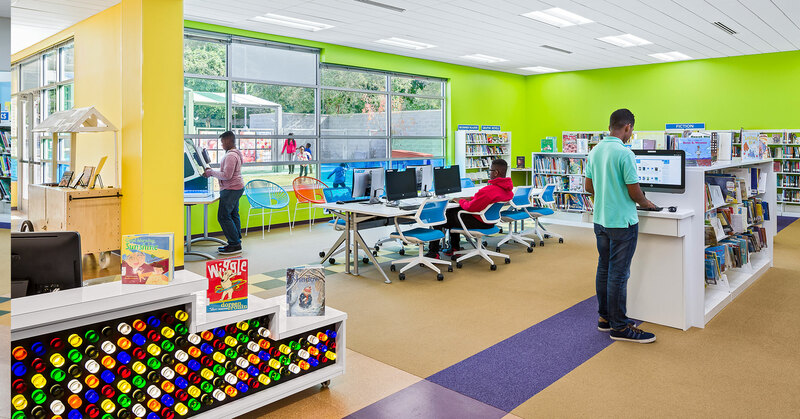 On the inside, the internet café is the spine of the building, connecting varied meeting spaces, a technology center, a dedicated teen space with recording studio, and a children’s room with an interactive puppet stage. 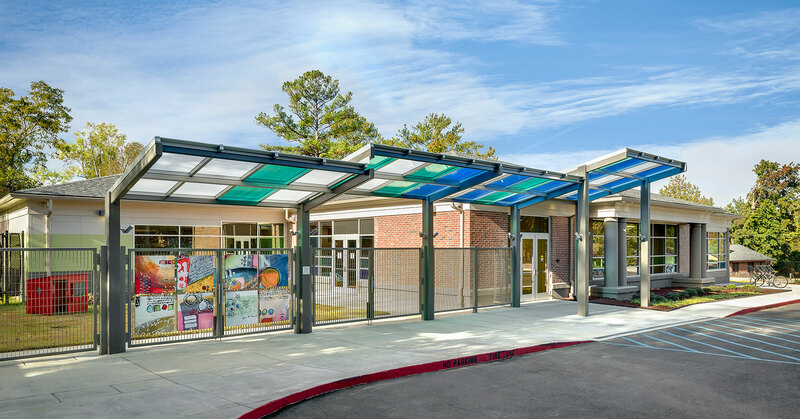 The exterior features a dynamic courtyard framed with public art and a colored canopy to convey a sense of fun and interaction. 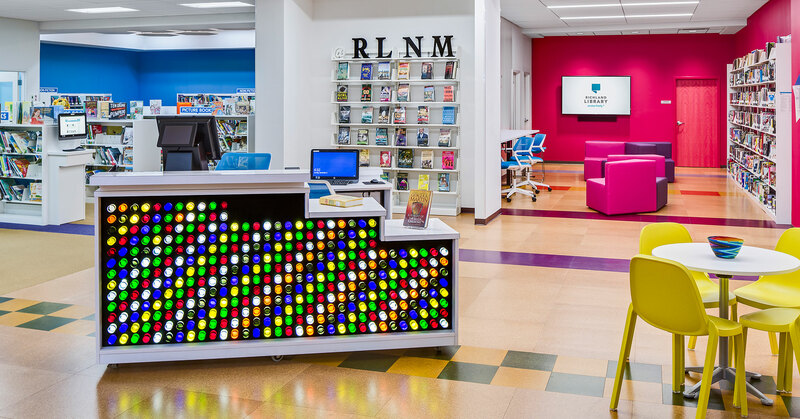 The idea that the library is a studio organized around many activities and not just a repository for books is evident through the many users who visit weekly to find their passion at this location, creating a dynamic learning environment in the community. 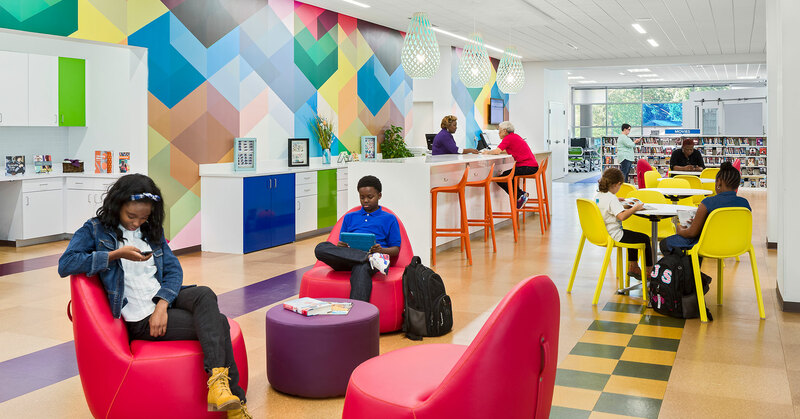 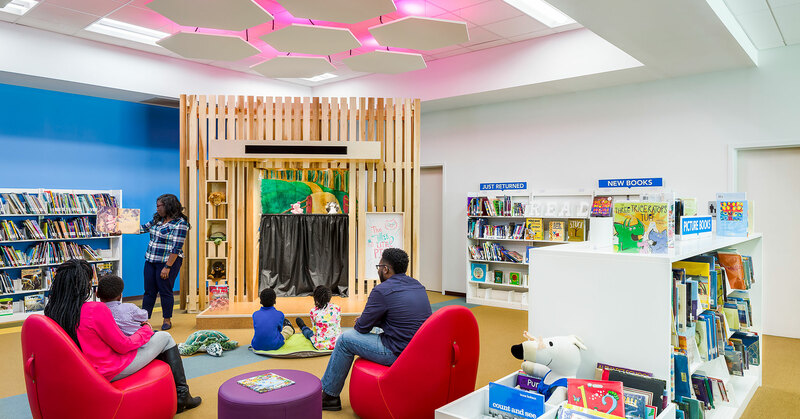 North Main Library brings joy and strengthens community ties with its colorful renovation that transforms the traditional library into a studio to create and share.